Live Life Out Loud For God – Not Ashamed to tell the world what God has done! Forgive quickly, forgive often. Unforgiveness leads to resentment which begins to build a thick wall between you and the other person. There is nothing worse than allowing a wall to stay between you and the other person when you have all the power to bring it down through humility and repentance. When the Bible says do not let the sun go down on your Wrath, that doesn’t mean insane crazy wrath like you think it does. It also means not forgiving the person who hurt you 100% completely with no resentment. Choose forgiveness, repent for resentment to God and the other person. Allow God to break the walls down. Then Joy, Peace, and Love will come. I did and boy does it feel good! When you hear the verse, the glory of the latter house will be greater than the former – this is just a taste of what it means. 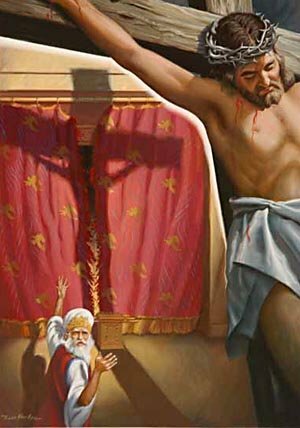 The very second Jesus died on the cross, the veil of the temple ripped top to bottom. That veil was as thick as a man’s hand about 4 inches thick. It took 300 priests to hold on to it and replace it every year. It was so strong that neither an earthquake or 2 horses on each side couldn’t pull it apart. It was 60′ long and 30′ high. Why is that so important? THAT IS HOW MUCH GOD WANTED TO INTERACT PERSONALLY WITH HIS PEOPLE. The death of Jesus on the cross allows anyone free access to the most holy of holy places. The very intimate manifest presence of God!! How many times are we satisfied to stay in the outer courts and just watch or participate from a distance? We have access to the very intimate place that before Jesus’ death was only accessed 1 time a year by a priest who had to be 100% pure and blameless, with a cord and bell wrapped around his ankle. Why? Because if he entered behind the veil with any sin or did anything wrong God would strike him dead. He had a bell so people outside would know if he was dead or not then they would pull him out by the Rope. Imagine the level of fear and reverence for the presence of God they had. We have a choice, we can choose to stay in the OT times and stay away from the intimate presence of God, or we have a choice to desire more and more of His presence. The enemy has tried everything he can to keep the church from entering into that deep place of worship. He pulls out all the stops and presents just the right formula because he used to be the worship leader of Heaven. He knows the incredible and wonderful joy and freedom that comes from worshipping at the throne room. There is a deeper place we can go, it is there. Many have tasted it. Many have been transformed by it. It takes time, it takes patience, it takes complete abandonment to the Holy Spirit. If you don’t know what I am talking about, then feel free to message me and I can refer you somewhere where you can experience it. If you want to get a group of people together to press in deeper and spend time waiting on Him, I would love to do it with you. I know my family heritage is saturated with stories of the Glory of God showing up in times of worship and prayer. It is in my DNA, it is who I am. I never want to run away from it. The Glory of God is about to be poured out on the church in a way we have only dreamed of. But we have to want it. We have to be willing to have it change us. We have to be willing for it to not always look and sound perfect. There is a stirring in the waters again, you can feel it all over this nation. Turn on voice competitions and you will hear worship exploding out of contestants who carry incredible anointings. The judges are stunned moved to tears and don’t even know why! I will tell you why, it is the tangible presence of Almighty God coming down in Love trying to reveal himself to us. The unsaved are Moved by true worshippers. They are not afraid. It is the presence of God that transforms them, draws them and his love is compelling them to draw deeper into his love. If we are afraid of showing the world the passionate love and presence of God through worship, we are missing God’s greatest gift the ability to connect with him on the other side of the rent veil. I write this after a morning of horrible heavy attack. I’m telling you something real here, the enemy wants to steal your joy, your peace and what you feel God’s call is on your life. He did with me this morning. I contacted 2 of my closest friends one here and one on the other side of the world and begged them to pray for me. This stupid thing lifted as I came into agreement with them, rebuked the enemy asked for forgiveness to God for coming into agreement with those lies and God set me free. Hallelujah! I know Gods purpose is good and He will make a way where there is no way! I started off this post wanting to share with you 2 Corinthians 3:7-18 but God had something else in mind. Haha. Be blessed, and Press In! Then I got to partner 🤝with him at the end of the service. I felt so strong that I was supposed to ask the people sitting next to me if they were youth pastors. I looked over and was nervous and about walked away. I heard God say my name very loud and very clearly. 📣When he says my name it kind of jolts me and I know I’m supposed to obey without a doubt. All I got before I stepped out was that they were youth pastors and they had something stolen away from them from someone they knew. And that God was going to pour back everything they have lost plus more. When I approached them, and they said they were youth pastors but have stepped away from it right now – I went for it. It is the first time in a long time that God gave me very specific words of knowledge and prophetic words of what’s going to happen for the husband and wife and even their daughter. Their astonished faces and nodding heads were the confirmation that everything was right on. It gave me even more confidence that I was really hearing correctly what God was saying. I can’t tell you how exciting and refreshing that is to be able to pour out to someone else a word of encouragement and Hope from God. It’s like nothing you can even compare to on Earth. Partnering with Heaven and releasing God’s word of life on earth. 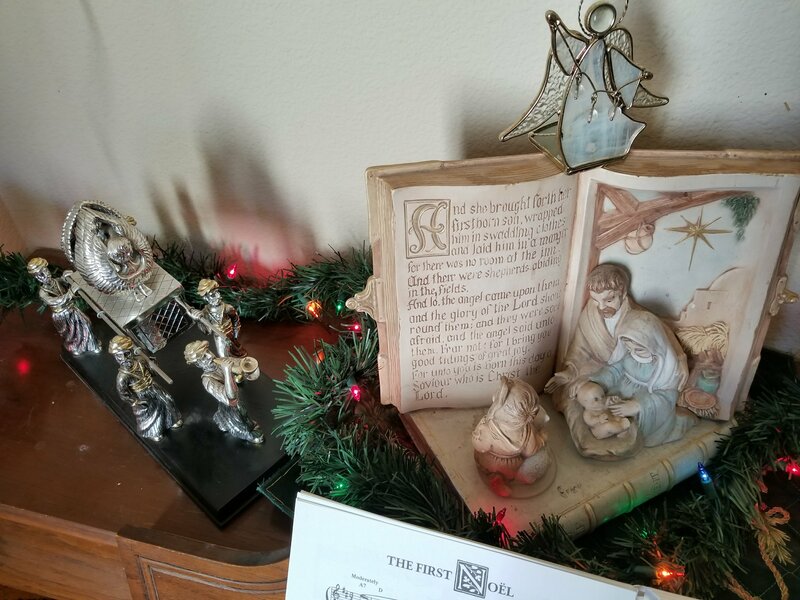 I LOVE the symbolism of my little nativity. Before JESUS CHRIST was crucified on the cross and the veil that separated all from the Holy of holies was torn on the temple, the Ark of the Covenant alone hosted the presence of God. Jesus became the FINAL blood atonement for our sins, and we are now priests unto God who can BOLDLY approach His throne of Grace and into His most holy presence. Christ alone is the mediator between God and man, no longer do we need a High Priest to go before God for our sins or to be the only one to witness His Glory, Power and Presence. Why is this such a BIG DEAL? Before the veil was torn the only person who was able to go before the Glory of God & Ark of the Covenant which was behind the thick veil of the temple was the high priest, once a year. He would go into the holy of holies with a rope tied around his ankle that had a bell on it. They did that because if for some reason the priest was not purified himself and if he did anything wrong he could drop dead. The bell was to hear if the priest fell.The Rope was to pull the priest out without risking going into the Holy of Holies and drop dead themselves. But NOW WE only need to come before Him with pure hearts and the shed blood Jesus. King David said, obedience is better than sacrifice. Our obedience is to God when we live according to His principles and truth. Now the law or Bible when read and taught is written on our hearts through the Holy Spirit. Our OBEDIENCE to His GUIDANCE leads to His PEACE. This Revelation hit me today smack between the eyes. Two nights ago I laid awake for hours praying about a situation with my son and crying out to God for wisdom and an answer. Yesterday God revealed a principle that I had been neglecting to walk in and how I related to my son. I asked God’s forgiveness and immediately started to change the way I was relating to my son. This morning when I woke up the peace and part of the answer that I was waiting for finally came. I began to hear God’s voice with the issue I was praying about. He told me today that because of my sacrifice and my obedience to him, He will now do His part. It doesn’t mean the situation is going to iron itself out quickly and be exactly the way I want it. But just the fact that I was able to finally hear His voice and receive His peace in the matter was astounding. All day yesterday I was wrestling with the feeling of not being able to hear clearly, I hate that feeling. It was like it was all cloudy and static between me and God. But in the meantime God was doing something in me that I had no idea was connected to the static and uneasiness. God rewards our obedience no matter how small we think it might be. HE IS FAITHFUL! Now I learn to trust, listen to his voice and obey the simple instructions. The most comforting thought in the world for parent is to know that God loves our children even more than we do and he cares for their spiritual growth even more than we do. I hope this blesses and encourages you like it has me. We are on the journey, but we are not alone. 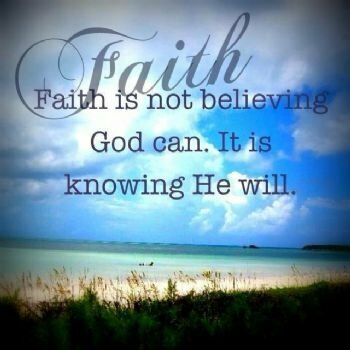 “Inasmuch then as we [believers] have a great High Priest who has [already ascended and] passed through the heavens, Jesus the Son of God, let us hold fast our confession [of faith and cling tenaciously to our absolute trust in Him as Savior]. For we do not have a High Priest who is unable to sympathize and understand our weaknesses and temptations, but One who has been tempted [knowing exactly how it feels to be human] in every respect as we are, yet without [committing any] sin. Except in the original Hebrew it says something A little bit different . “Grant you according to your own heart all your counsel .” The word for “according to your own heart” as well as “your counsel” is only written and used one time each in The Bible . There is something about the other translations that didn’t sit well with me. Even though throughout the Bible it says God will give you the desires of your heart, People tend to see that as God giving you whatever you want. But we also know that Jesus said if you pray “according to my will” it will be done. We would be a mess. When we are in covenant with God and make our decisions according to his counsel – that is an agreement of his will. I believe it is THAT WILL Jesus was talking about. It is like the parable of the Good Stewart who did not just waste his talents but invested them. When the master came back he then set him over larger realms of responsibility. 1 I AM the True Vine, and My Father is the Vinedresser.2 Any branch in Me that does not bear fruit [that stops bearing] He cuts away (trims off, takes away); and He cleanses and repeatedly prunes every branch that continues to bear fruit, to make it bear more and richer and more excellent fruit.3 You are cleansed and pruned already, because of the word which I have given you [the teachings I have discussed with you].4 Dwell in Me, and I will dwell in you. [Live in Me, and I will live in you.] 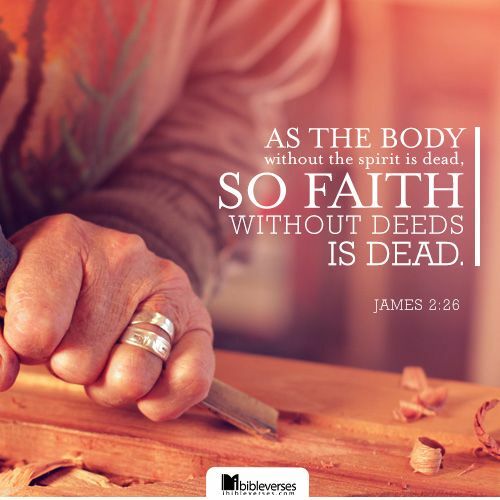 Just as no branch can bear fruit of itself without abiding in (being vitally united to) the vine, neither can you bear fruit unless you abide in Me. 5 I am the Vine; you are the branches. Whoever lives in Me and I in him bears much (abundant) fruit. However, apart from Me [cut off from vital union with Me] you can do nothing.6 If a person does not dwell in Me, he is thrown out like a [broken-off] branch, and withers; such branches are gathered up and thrown into the fire, and they are burned.7 If you live in Me [abide vitally united to Me] and My words remain in you and continue to live in your hearts, ask whatever you will, and it shall be done for you.8 When you bear (produce) much fruit, My Father is honored and glorified, and you show and prove yourselves to be true followers of Mine.9 I have loved you, [just] as the Father has loved Me; abide in My love [continue in His love with Me].10 If you keep My commandments [if you continue to obey My instructions], you will abide in My love and live on in it, just as I have obeyed My Father’s commandments and live on in His love.11 I have told you these things, that My joy and delight may be in you, and that your joy and gladness may be of full measure and complete and overflowing.12 This is My commandment: that you love one another [just] as I have loved you.13 No one has greater love [no one has shown stronger affection] than to lay down (give up) his own life for his friends. 14 You are My friends if you keep on doing the things which I command you to do.15 I do not call you servants (slaves) any longer, for the servant does not know what his master is doing (working out). But I have called you My friends, because I have made known to you everything that I have heard from My Father. [I have revealed to you everything that I have learned from Him. ]16 You have not chosen Me, but I have chosen you and I have appointed you [I have planted you], that you might go and bear fruit andkeep on bearing, and that your fruit may be lasting [that it may remain, abide], so that whatever you ask the Father in My Name [as presenting all that I AM], He may give it to you. That is one incredible promise! Jesus no longer calls us servants but friends because he has revealed to us the father’s will. IT IS TIME TO LIVE ABUNDANT LIFE AS WE WALK WITH GOD, LISTEN AND OBEY AND RECEIVE ALL HE HAS FOR US! Get ready for a massive wave of revival to sweep through this generation! God is doing something huge . Last night I had a dream that I was back in public high school school. I was in a large room of students during lunchtime and I began to share my testimony. 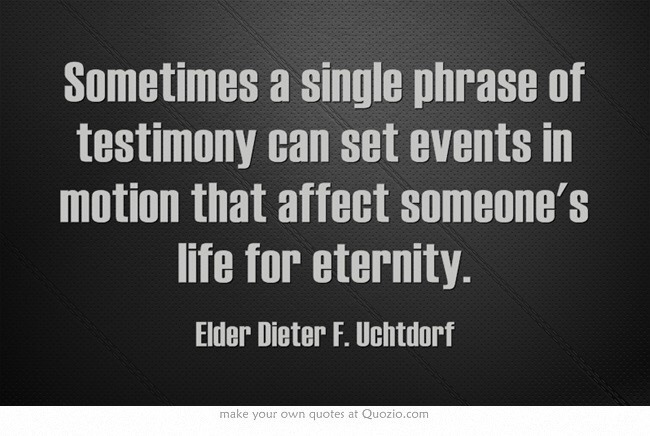 It’s interesting because my testimony was as if I shared it right now as an adult. But the whole room became silent as I shared. I shared through lunch and then my teacher came in who would normally have whipped the class into shape and have me sit down but she didn’t she just stood there. After I was done sharing my testimony I asked who wanted prayer and 30 kids came eager to be prayed for. The school bell rang so I didn’t have a chance to pray for them and it was so painful to feel like I missed that chance as they had to walk to their other classes. I went up to my teacher and thanked her so much for allowing me to keep on sharing. She said she could not stop listening and thanked me. The feeling of joy and exhilaration when I woke up is something I will never forget. I am praying today for all those in classroom settings that they will be bold and share their testimony of faith. It doesn’t matter big or small nobody can argue with your own personal testimony. They might argue your theology but never your testimony. One of my favorite songs when I was little was Be Bold! Be Strong! It truly has been my anthem. 🎼BE BOLD – BE STRONG- FOR THE LORD YOUR GOD IS WITH YOU. I wont be afraid, no no no, I won’t be dismayed, no no no. For I’m walking in Faith and Victory, Come on! Walkin in Faith and Victory. For the Lord your God is with You.